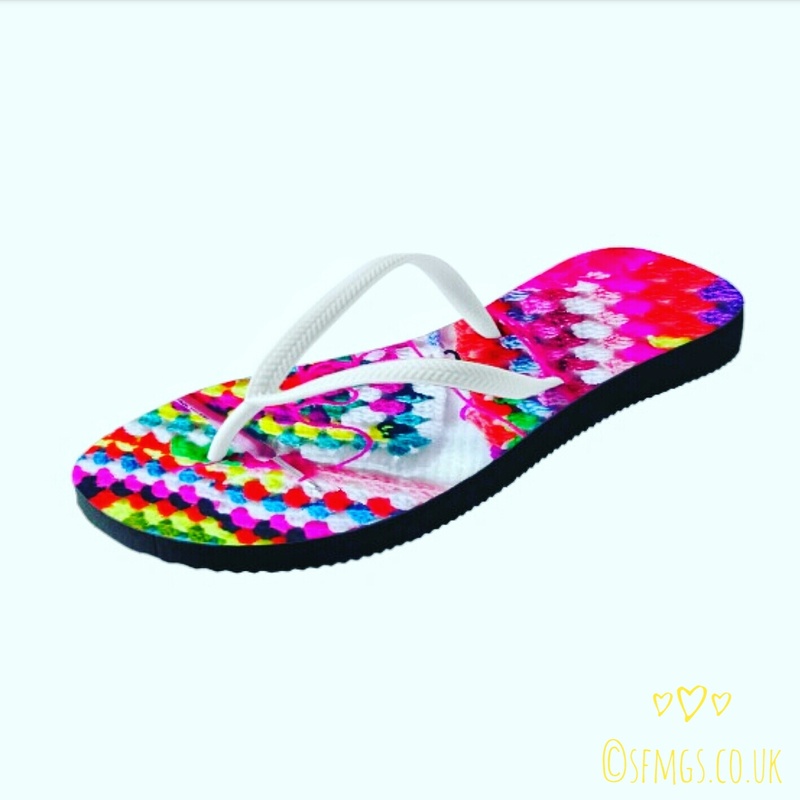 Cute, colourful, crochet granny square print flip-flops design available now via SFMGS on Zazzle... Yay! Eeek!! 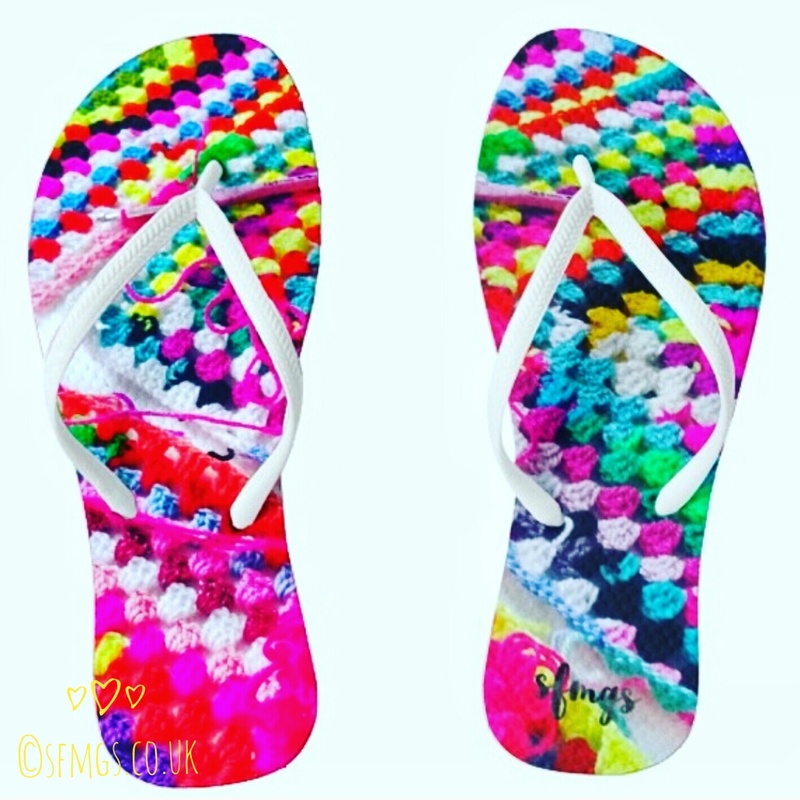 I have wanted to design these for soooo long and now we are coming into April which is the start of my April to December flip-flop wearing season, I finally got them designed on Zazzle! I can't wait for them to arrive! You can choose from pink, white, black and blue straps! Yay! I also designed these.... I am OBSESSED!! !